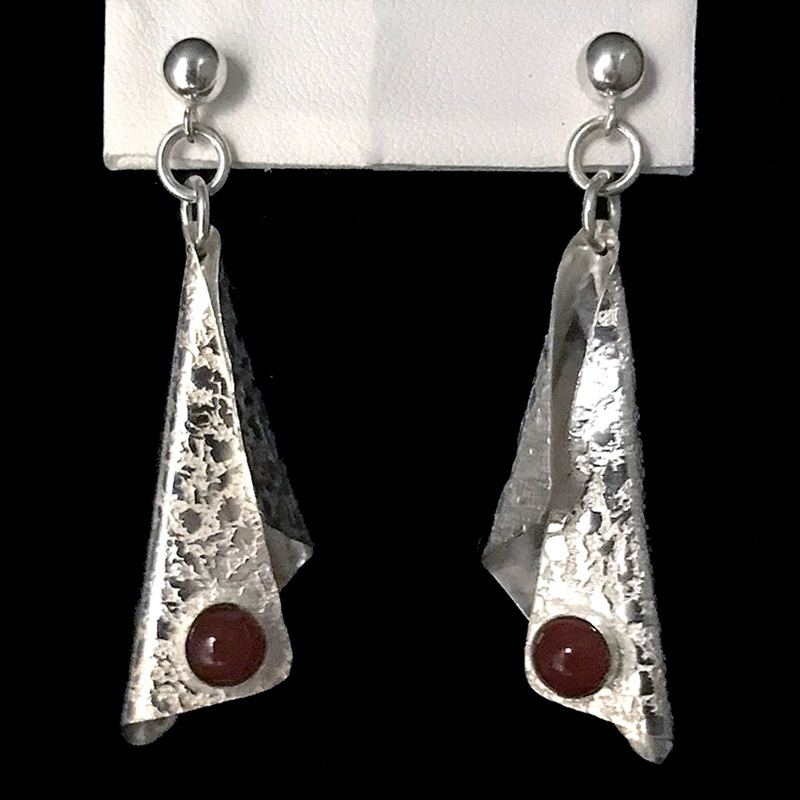 Textured Jewelry - This is a handcrafted pair of elegant dangle earrings created from textured strips of sterling silver that are accented by round red orange Carnelian cabochon (6mm) gemstones. They are light, fun and have a lot of movement. Shown pierced, but available as clipped. 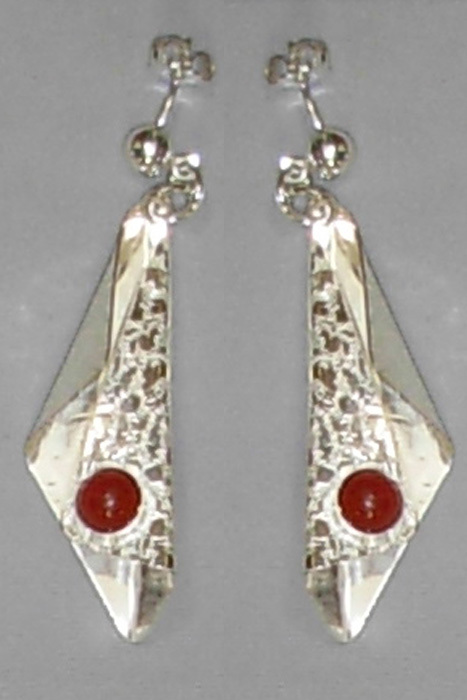 Designer sterling silver earrings post style. These are unique and artistic and go so well with one of our texture (TX) necklaces.